Regardless of the cause of your Type II diabetes, improved lifestyle choices will reduce and can reverse the damaging effects of this condition. The combination of nutrition & diet, exercise, positive thoughts and detoxification will promote healing, reverse disease and maintain neurological balance that is critical for living to your health potential. 10,000 chemicals are used in food processing, preserving and storage. Create a healthy environment for you and your family; Take control of your kitchen. 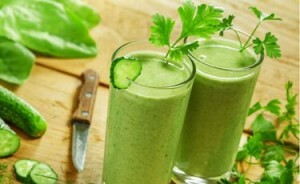 Understand the science behind natural detoxification. Biochemistry, to be exact, comes down to the fact that man-made molecules do funny, unpredictable things to our bodies because they do not work with our normal biochemical pathways. Nature made molecules are better absorbed by the body, therefore choosing Organic Non-GMO fresh foods is essential for proper nutrition. Having your health and a better quality of living, without depending on medications, starts with believing that you can and making better lifestyle choices. The fist place to take action is in your very own kitchen and decisions you make at the grocery store! Cooking real organic foods is the first step to better nutrition. Watch this short trailer from the documentary Food, Inc for a better understanding that collectively we do have the power to take back our health. Make healthy substitutions – Replace soda with sparkling water, a bowl of fresh organic fruit instead of ice cream or processed sugar snacks. Fruits and vegetables that are high sources of Vitamin C are essential to a diabetic diet. Remember that green raw vegetables are an excellent source of vitamins and minerals essential for all. Clear your kitchen of sweets – The cure for what ails us—both in our bodies and in our nation—can be found in the kitchen. Don’t bring sweets home. Instead, plan to only enjoy a dessert when you’re away from home. Savor each bite – Pay more attention to your eating. Don’t eat while watching TV or talking on the phone. Take your time and really enjoy your food. Modify the recipe – When preparing a meal, reduce or eliminate the amount of sugar called for in the recipe. Check the ingredients – Avoid processed foods when possible but if you do buy packaged food, READ THE LABELS. Look out for additives, preservatives and other types of sugars like “Fructose”, “Corn Syrup”, and “High Fructose Corn Syrup” (HFCS) which can be especially hard on your system. Rice – Substitute brown rice instead of white rice. Oatmeal – Try steel-cut oats instead of processed cereals or instant oatmeal. Bread – Buy whole-grain instead of white bread. Potatoes – Instead of white potatoes use sweet potatoes or winter squash. Coffee snacks – Choose a bran muffin made with honey with your cup of coffee or tea, instead of a doughnut or pastry. Don’t skip breakfast – Start your day off with a good breakfast. Eating breakfast every day will help you maintain energy and steady blood sugar levels. Eat small meals at regular times – It is helpful to eat 3 small meals plus 3 healthy snacks spread throughout the day. We tend to eat larger portions when we are overly hungry, so eating regularly will help you keep your portions in check. Keep calorie intake the same – Regulating the amount of calories you eat on a day-to-day basis has an impact on the regularity of your blood sugar levels. Try to eat roughly the same amount of calories every day, rather than overeating one meal, and then skimping on the next. Don’t eat quickly – It takes a little time for your brain to get the message that you’ve had enough to eat, so stop eating when you feel 80% full. Wait about 20 minutes and then if you’re still hungry, you can choose to have a little more. To maintain a healthy diet, controlling your portion sizes is key to prevent overeating. At the same time having a balanced meal of proteins and carbohydrates helps keep blood sugar from spiking too high or dropping too low. Unhealthy fats – The two most damaging fats are saturated fats and trans fats. Saturated fats are found mainly in animal products such as red meat and whole milk dairy products. Trans fats, also called partially hydrogenated oils, are created by adding hydrogen to liquid vegetable oils to make them more solid and less likely to spoil. This is very good for food manufacturers, but can be very bad for your body. 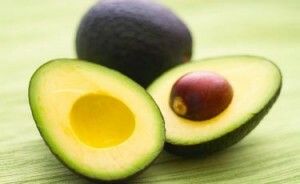 Healthy fats – The best fats are monounsaturated fats, which come from plants and are liquid at room temperature. Primary sources include olives, nuts, and avocados. Some oils have a substance called omega-3 fatty acid, which helps reduce inflammation and support brain and heart health. Good sources include fish oil from salmon and cod, and flax seed oil. Learn How GreenSilk Formula 1 Mulberry Leaf Extract Supplements can assist your well-being.